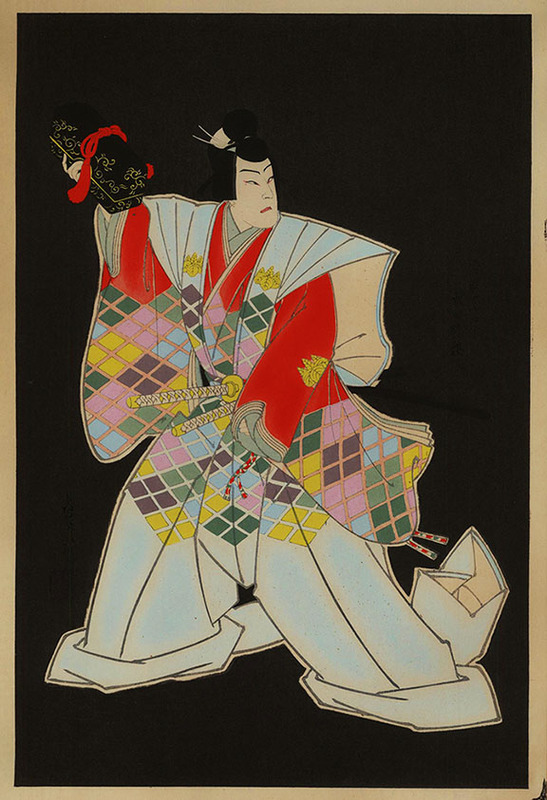 Woodblock, image size 15 3/4 x 10 3/8 inches, after Sadanobu Hasegawa, from the Uchida Woodblock Printing Co., Kyoto, Japan depicting the samurai "Takeda Katsuyori" from the kabuki play "Honcho Nijushiko" which tells the story of two noble Japanese families caught in the middle of a murder scheme. Provenance on label adhered to back. Publishers seal and artist signature on u.r. and l.l. 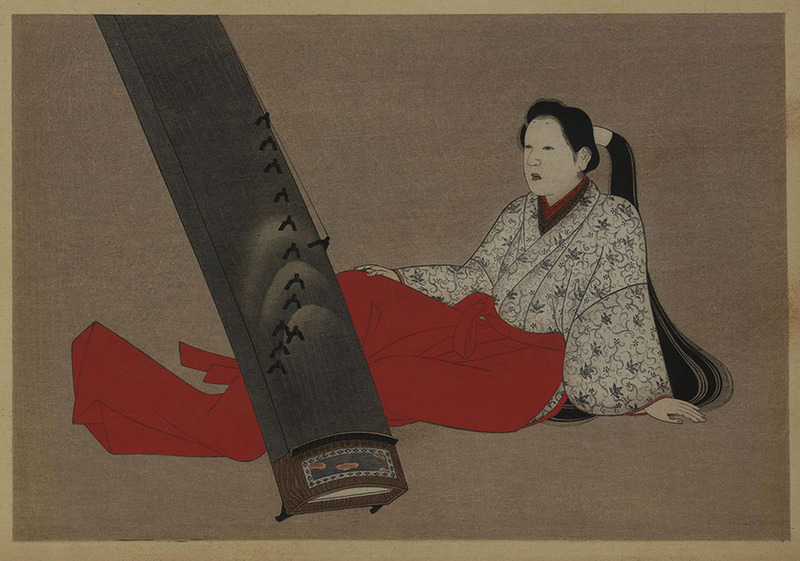 This woodblock print titled "Woman With Koto" measures 8 1/8 x 12 3/4 inches on wove paper with wide margins and is unsigned.